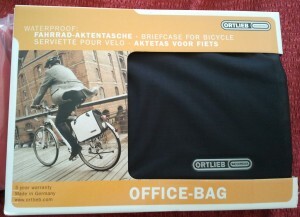 Well today the my new Ortlieb Office Bag was tested by commuting to work on my bicycle. It carried all I needed it to carry, which included my Asus netbook, a change of clothes and lunch. It mounted onto the rack well with the QL2 mounting system which is so easy to adjust. 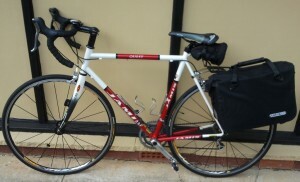 When off the bike the bag stands up neatly not constantly falling over like my Carradice bag did. All in all very happy with the bag. I can see why people rave about Ortlieb. Credit where credit is due, Wiggle’s shipping pace is bloody fantastic. 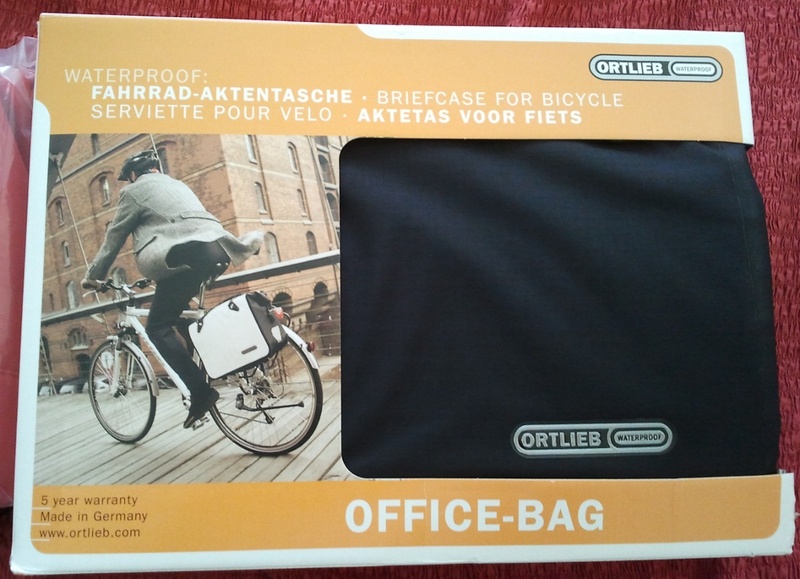 I ordered an Ortlieb Office bag a week ago and here it is all the way from UK in a week. Now that is indeed impressive, particularly as shipping is included in the price. 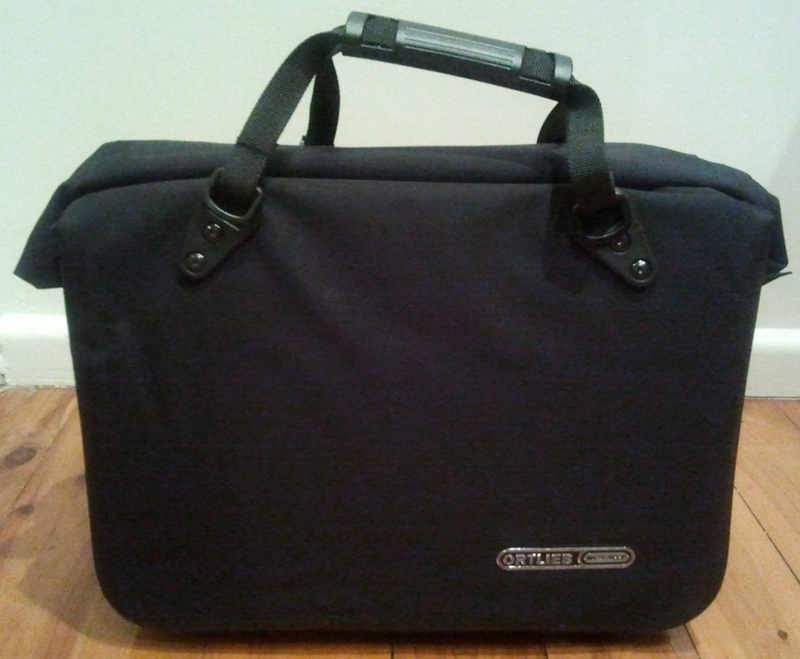 The Ortlieb Office bag fulfills a desire I have had for a while to own an Ortlieb bag. Ortlieb bags are cool indeed, they are fully waterproof, this one uses their classic roll top closure. Believe it or not the bag is actually made in Germany, not China or some other cheap manufacturing centre. On arrival the bag is very neatly packaged, which adds to the feeling of a quality product. 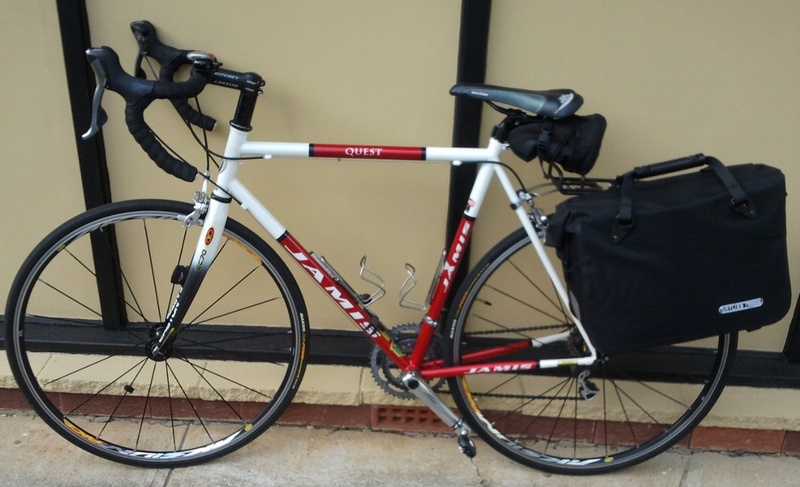 The bag uses Ortlieb’s QL2 mounting system which is very easy to adjust and setup for each rack, no tools were necessary. 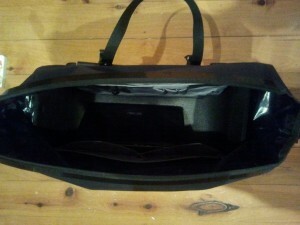 The bag is not huge but should be large enough for my netbook and a change of clothes for work. You can see a fair amount of space with only my netbook in there. The bag is quite a neat looking bag when closed, in fact it looks like many other office bags. My previous bag the Carradice Bike Beureau was larger but nowhere near as neat looking as the Ortlieb.